Sustainability is the heart and soul of travel planning in 2019. So, next time your ride-hailing app sends you a fuel-free, electric car even when you didn’t ask for it, don’t be surprised, just enjoy the eco-friendly ride knowing that this year is going to see the rise of sustainable travel solutions. A 2,000-km electric car road trip from Abu Dhabi to Muscat and back to the UAE has set the agenda for sustainability travel and mobility in the region. Flagged off from the World Future Energy Summit, part of the Abu Dhabi Sustainability Week at the Abu Dhabi National Exhibition Centre (Adnec), the 12-car convoy drove through the deserts of Abu Dhabi, the mountains of Oman and return along the rugged coastline of the Northern Emirates – there were 18 charging stations along the way. On a single charge, electric cars can cover almost 500 kms. 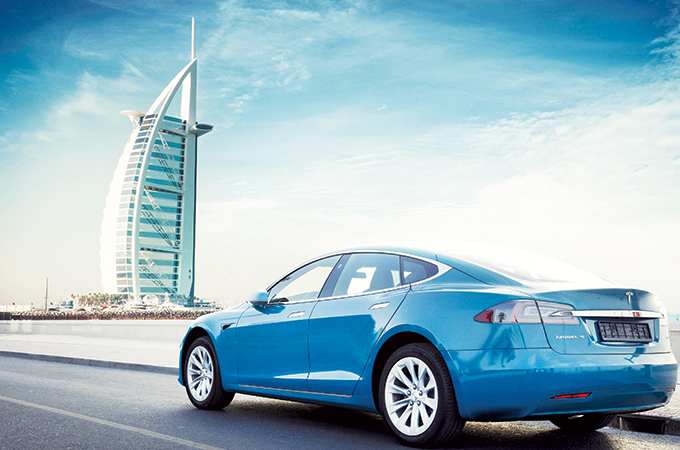 The UAE’s Green Parking service provider already manages more than 400 charging stations across malls and hotels in the country. From the roads to the skies and beyond, industry leaders are united in their role to push back the environmental impact of travel. The World Economic Forum at Davos will be discussing smart and sustainable mobility issues transforming the aviation space. With international arrivals anticipated to increase by 50 per cent the next decade, experts at the Forum will drive actions that build the resilience of the industry in the face of geopolitical, environmental and health threats. At current trends of growth in aviation, the sector will contribute to 20 per cent of global greenhouse gas emissions within the next two decades. The outcome and action points of these discussions would be around what is needed for the industry to use sustainable low carbon aviation fuels at scale. Solutions are closer than one may imagine. Etihad Airways operated the UAE's first commercial flight powered in part by biofuel generated from Abu Dhabi-grown plants nurtured on desert land, saltwater and seafood. The flight from Abu Dhabi to Amsterdam was partially powered by locally-made biofuel whose seed oil was processed by Adnoc Refining and delivered by Adnoc Distribution in a push to develop sustainable jet fuel. "It's a small step for mankind but a giant leap for us, it shows we can change carbon emissions in aviation," commented Tony Douglas, chief executive of Etihad Aviation Group. Making a sustained effort towards sustainable practices can be done at all levels, even luxurious stays can be developed using renewable resources. The awe-inspiring Melia Serengeti Lodge in Tanzania was designed to stay cool without air conditioning. The Lodge is solar-powered and uses bio gas instead of fossil fuel. Laundry is sun dried naturally and rainwater harvested throughout the year for – this is sustainability at its best. Meanwhile the shortlists for 2019 WTTC Tourism for Tomorrow Awards shed light on brands that are stepping up and leading the way with ideas that transform business practices and consumer behaviour towards a more environmentally conscious sector. Awards judge Graham Miller, professor of Sustainability in Business at the University of Surrey highlighted that the shortlisted projects and businesses demonstrate community development, sustainable employment practices, female empowerment, innovative environmental technology and protection of land and marine wildlife that contribute to the broader Sustainable Development Goals. The winners of the Awards will be announced at the 19th WTTC Global Summit in Seville, Spain taking place from April 2 to 4, 2019.